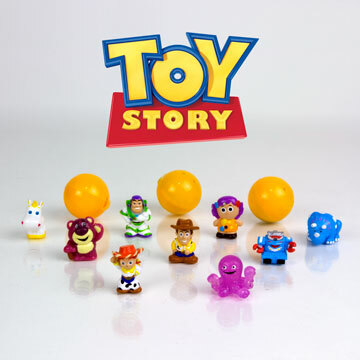 All of your favorite Disney/Pixar Toy Story® characters from the movies are now available in Squinkies® Bubble Packs. 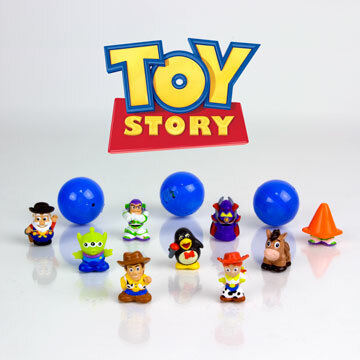 Take Woody, Buzz and the rest of the crew along on your adventures. Each pack features characters from each one of the Toy Story movies. There are 12 Squinkies Toy Story characters in every pack. Collect them all! These little guys are absolutely fantastic! They make a 12 pack for each of the Toy Story films. 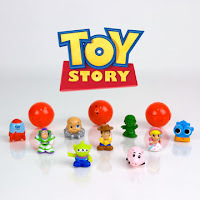 Kids will love them, although be careful cause these are very small, and collectors will love these hanging on their walls! The packaging is perfect for instant display. New York, NY – Dec 16, 2011— Buzz Lightyear, Woody, and the rest of the gang lead readers to infinity and beyond as Marvel and Disney Publishing debut TOY STORY #1 (of 4). Featuring Toy Story characters from the Disney-Pixar films, Toy Story #1 delivers entirely new content and stories to comic fans. 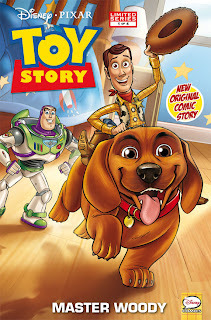 Andy's new puppy, Buster, loves to play with toys — but if Woody, Buzz and the gang can't control the playful pooch, all that chewing and shaking will leave them in a world of hurt! Will our heroes make it through in one piece with batteries intact? Find out this March in TOY STORY #1!